What happens when you mix clay with sounds? Linda has shaped acoustic ceramic vessels from clay. The semi-abstracted shapes are influenced by the Australian floral landscape and glazed with an experimental approach to surface decoration and layers of colour. A visual representation of the sound of each vessel has literally been scored into the surface through carving of the clay. In reaction to the fast pace and sensory overstimulation of contemporary urban life, she creates situations where critical listening is encouraged to promote slowness, mindful contemplation, and social interaction in both galleries and public spaces. Globular horn is designed to transform sounds as it flows through tubes and chambers and out through the holes and horns, revealing resonances, reflections and filtering effects as you move your head around the object. Tim has created electronic representation drawn from the acoustic palette of a natural landscape; vibrations emanating from the hum of bees, the wind through a field, rolling stones in a river, the hum of a garden in summer...sounds that some may be unconscious of and, for others, a sensory pleasure. 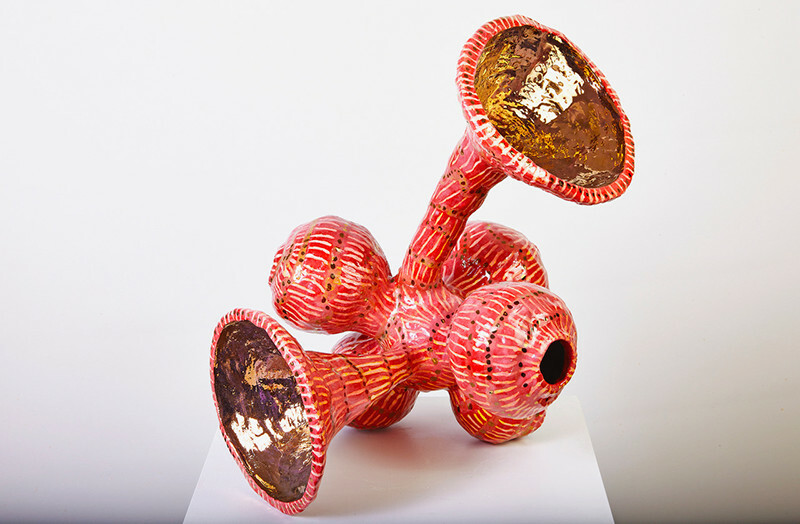 Linda Davy has worked as an artist in Canberra for the past 28 years, completing a Masters of Ceramics and Sculpture at the Australian National University in 2012. 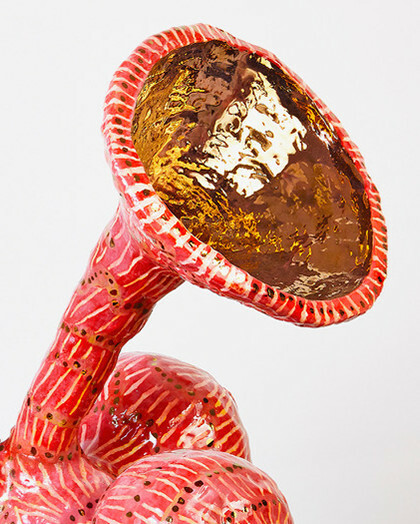 Linda utilises her skills in the ceramics mediums to create work that focuses on concerns about societal and personal connections with the natural environment. Collaboration with other artists, scientists and community has been a focus in Linda's art practice, with several projects located in public buildings and an artwork purchased by Museum of Old and New Art (MONA) in Hobart, Tasmania. Tim Barrass is an accomplished musician, sound designer and composer. He creates unusual sound experiences with MozziByte, an electronic interface he has invented that enables the user to create a variety of sound experiences.